Lilly Singh is coming to late night! NBC just announced the YouTube star will take over Carson Daly’s spot with her new TV show, A Little Late with Lilly Singh. A Little Late with Lilly Singh is set to debut on NBC in September. 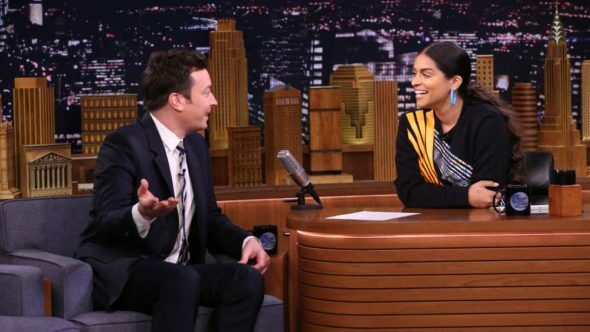 UNIVERSAL CITY, Calif. – March 14, 2019 – NBC, which has been television’s late-night leader for more than 60 years, is adding to its already illustrious legacy with “A Little Late with Lilly Singh,” making her the only woman to currently host a late-night talk show on a Big 4 network. Set to air at 1:35 a.m. and debuting in September (exact date to be announced), “A Little Late with Lilly Singh” will be a half-hour program with an array of guests. Singh will conduct in-studio interviews as well as create and star in pre-taped comedy sketches and signature segments. Singh is a multi-faceted entertainer, finding success as an actress, producer, writer and creator. She’s a leading force in the digital world  amassing a global audience  of more than 14  million subscribers on her  YouTube channel, where she writes, produces  and stars in  comedic and inspirational  videos. Singh  is the New York Times  bestselling author of “How to Be a Bawse: A Guide to Conquering Life.” She has appeared on Forbes’ 30 Under 30 Hollywood & Entertainment list, Fast Company’s Most Creative People list and Time called her one of the most influential people on the Internet. What do you think? Are you a fan of Lilly Singh? Will you watch her new TV show? More about: A Little Late with Lilly Singh, A Little Late with Lilly Singh: canceled or renewed?, NBC TV shows: canceled or renewed? Late Night with Seth Meyers: Michael Fassbender Hums ’80s Theme Songs; How’d He Do?